Dr. Bernard Carroll is the Scientific Director of the Pacific Behavioral Research Foundation, a non-profit California foundation that promotes research and community education in mental health. 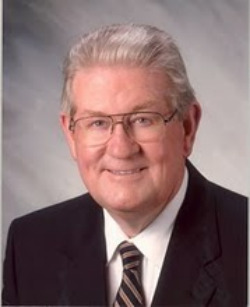 A native of Australia, where he completed his medical and psychiatric education, Dr. Carroll has taught on the faculties of the University of Pennsylvania, University of Michigan, Ann Arbor, and Duke University (1983 to 1998). He is now Emeritus Professor of Psychiatry and Behavioral Sciences at Duke University Medical Center. Dr. Carroll is widely known as a clinical consultant, and he is listed in The Best Doctors in America. Dr. Carroll’s research on the psychometric assessment of depression resulted in the widely used Carroll Depression Scales, with many international translations. He has also guided the development of two new mood scales, the Scale for Manic States and the Mood Dimensions Scale, that are now in field testing. He is also known for his conceptual analyses of mood disorders, especially for the Carroll-Klein model of bipolar disorder.